Horses and dogs communicate with us, but are we sure we can listen? The cognitive-relational approach can help to create a more balanced relationship, enhancing the characteristics of the species and helping the animals to express themselves at their best. This drives us to build equipment that is compatible with the lives of animal. We love nature and work to improve the lives of people and animals. We aim at the welfare of the animal obtained with anti-doping systems and reducing the use of drugs, where it is possible to intervene with alternative therapies, through the latest machinery. Stainless steel products are the most ecological products in the mechanical field. Each of our projects is a prototype conceived, designed and built by us. 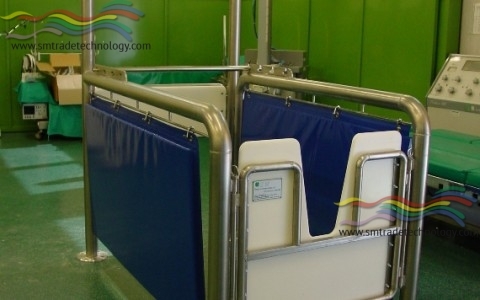 We realize custom projects, taking into account the needs of our customers.We have made special centers for large animal surgery, training centers, emergency and physiotherapy for large and small animals. We have designed surgery and laparoscopy tables for small animals and falcons. 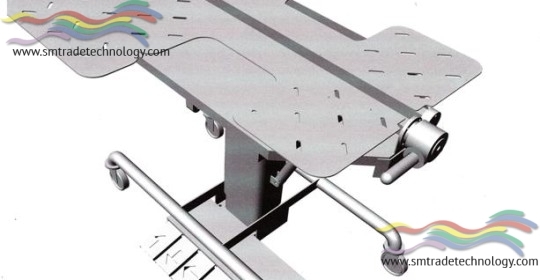 We designed and built the first treadmill with the tilting platform in the world. Our experience extends in the food-drink field and especially in the dairy field. Ambulanza Equina Horse Emergency: Produzione, vendita e noleggio.